Home / Revolution #1 / SideWinder® Revolution 1 Hand, Wrist and Forearm Exerciser. 1 1/2 ” Diameter for a Demanding Workout. All aluminum portable also Excellent for rehab. SideWinder® Revolution 1 Hand, Wrist and Forearm Exerciser. 1 1/2 ” Diameter for a Demanding Workout. All aluminum portable also Excellent for rehab. The SideWinder® Revolution #1 Gives a demanding workout, with difficulty levels from beginner to challenging as well as for rehabilitative therapy. 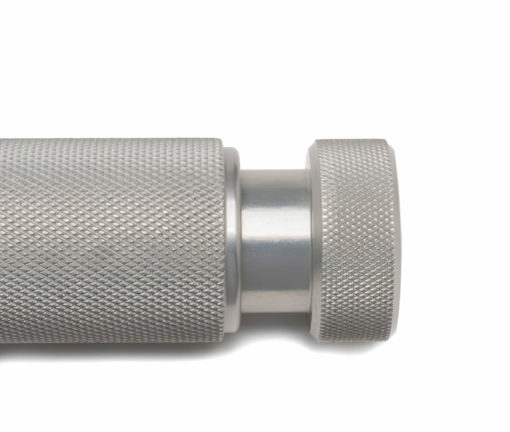 Setting Resistance could not be easier with the adjustable resistance knob. Manufactured with price in mind, without sacrificing quality. 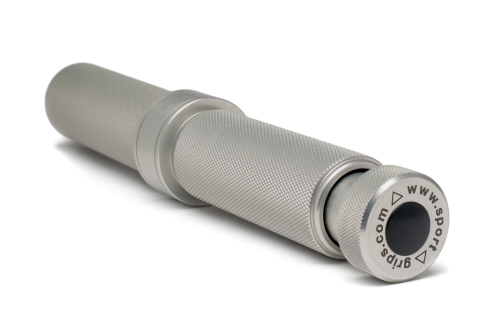 The Revolution #1 is also manufactured from solid anodized aluminum, supporting a steel shaft. 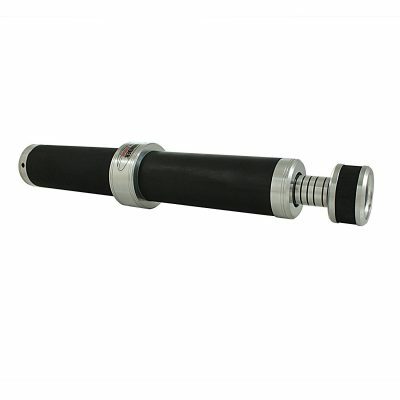 A self contained unit with an adjustible tension knob for an easy transition of resistance. It is highly capable of helping sport enthusiasts and the athlete seeking serious hand & wrist strength in professional sports. Excellent for rehabing if you have weak hands or just need a tune up or rehabing a fractured wrist or Forearms, then this is the device for you. All products are able to help you to regain your hand function and strength. Controlled motion is one of the best features to ensure that you will not cause further injuries. It is also portable-carry it anywhere. 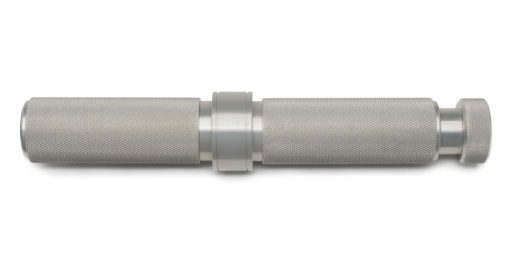 Grip ready knurling on both handles. Resistance and repetition coupled with consistency are the keys to making YOURS a success Story! Compact enough to go where you go, It’s soon to become a favorite of your workout regime. We stand behind our products because they are made TOUGH! Same day shipping on orders received before noon during normal business hours. Buy two or more and shipping is free. Made in AMERICA of course! Handles 4 1/4″ *Knurled, andCrafted from STEEL & Anodized Aluminum. 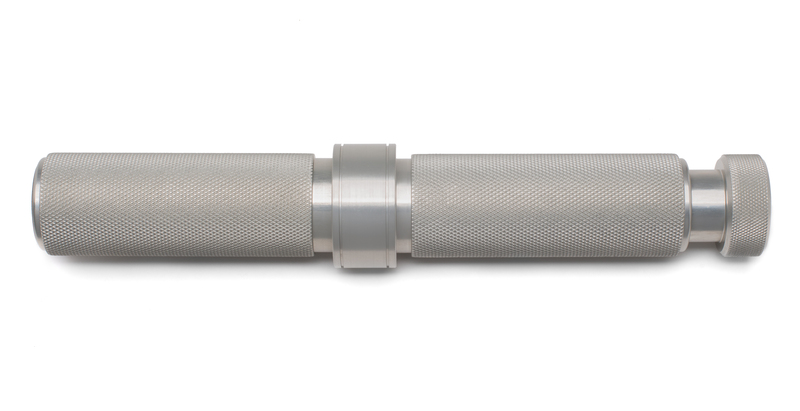 4 1/4 handles are knurled for a powerful gripping surface. Our resistance material allows for a smooth feel at all levels of tension. 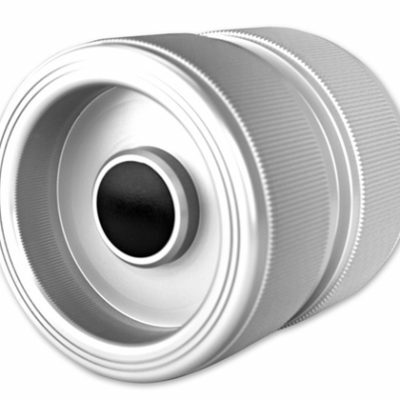 Besides the quality, our adjustable tension knob sits on a steel roller bearing allowing ease of adjustment. You can change the resistance as many times you like so as you get stronger, it gets stronger! Unlike our competitors, you can turn the handles independently of each other as many times as you like while maintaining the same resistance, this means you can choose the part of the forearm you wish to exercise. Of course-assembled by hand in the USA! Don’t just take our word for it-see what our customers are saying! I used the Sidewinder Pro for a year, and then bought the Sidewinder Revolution 1. After using the Revolution 1 for 3 months, I have to say it is my favorite Sidewinder. I have zero blistering of my hands, and I find it to be very comfortable. The trick to comfort is how you use it. You want the tension to distribute more evenly throughout your hand. I like holding it in the vertical position while extending away and then contracting back. The trick to making the pressure distribute evenly (for the vertical position) is to hold the Revolution up at the height of your head while exenting away and contracting back. I can do 500 reps a day with zero blistering and no discomfort of any kind. If you experiment, you can find other ways to use it that also distribute the pressure evenly. The traditional wrist roller position also distributes the pressure more evenly. For me, the smaller diameter (as opposed to the pro) seems to make my forearms contract a little harder. I’m a male with average size hands. Since the Revolution doesn’t have any rubber, it doesn’t make my hands black. Also the Revolution 1 doesn’t slip even with sweaty hands. The Sidewinder is the only exercise I have ever performed that thickened my hands, and I personally think the Revolution 1 the best model. Another convient advantage is the compact size of the Revolution, easy to travel with and throw in your workout bag. As others have mentioned, the construction is incredible, made to last a lifetime. 5.0 out of 5 stars Well made. Works wonderfully. Adjustable so you can start light and go up. Wonderful product! Adjustable for beginners to advanced. Very well made. Would not change a thing. I tried the weighted forearm roller and I like this better. I can do it watching tv, waiting for a stoplight, or between other sets at the gym. I’m glad they invented it and sell it so I don’t have to have a block of wood with a screwdriver and screw in my home gym any more. My forearms are pumped after using this forward and reverse. 5.0 out of 5 stars This works great!! Totally worth every penny. I have worked in and out of machine shops for over 30 years. I know quality workmanship when I see it. My first impression was somebody put a lot of time and thought into this device. The action is smooth and consistent. When the resistance is set it stays at the same level throughout the movement. The knurled handles are perfect. Work great even when your hands get sweaty. No slipping. It is a compact size so it can be transported easily in a gym bag. Overall the best piece of equipment for grip/forearm training I have used. SideWinder® Pro Plus #2 Hand, Wrist and Forearm Exerciser 1 1/2″ Diameter for a demanding workout, Also excellent for Rehab. 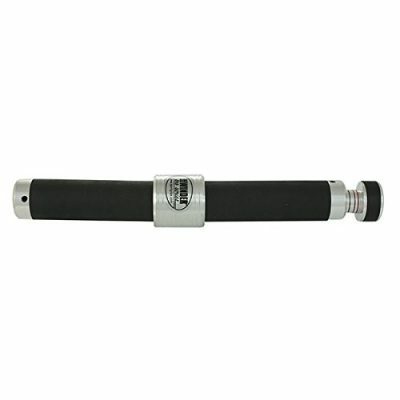 SideWinder® Pro Xtreme #3 Hand, Wrist, Forearm Exerciser 2″ diameter Handle. Fat Grip Training for serious Grip Strength!